Improve Technologies (IT) was a company that existed from 1991-1997. 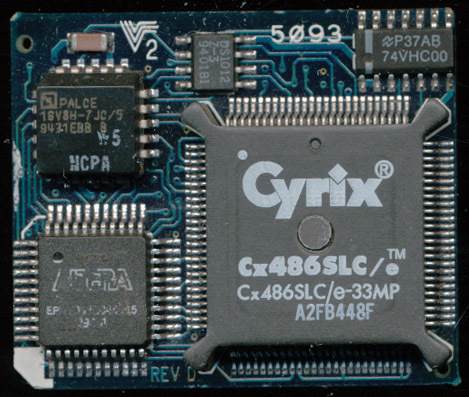 They were one of the many (to include Cyrix, Evergreen, PNY, Gainbery, etc) that made processors for upgrading 286, 386 and 486 computers. Processor upgrades are no longer commonplace, becoming nearly non-existent (except for such things as 771 to 775 adapters). Today computer hardware has become so inexpensive that upgrading more often just consists of purchasing a whole new computer, or at least new motherboard, RAM, and CPU, all at a price of a few hundred dollars. In the early to mid-90;s however, a computer system cost 2-$3000, so replacing it every few years was not financially viable for many people. Thus processor upgrades, they were designed to replace a CPU with the next generation CPU (with some limitations) at a price of a few hundred dollars. In 1976 TranEra was founded in Utah. TransEra is an engineering solutions company, they are built on seeing a technological problem, and engineering a solution, whatever that may be. They began by making add-on for Tektronix test gear and HP-IB interface equipment. In 1988 they released HTBasic, a BASIC programming language (based on HP’s Rocky Mountain BASIC) for PC’s. This is what TransEra became perhaps best known for, as they continue to develop and sell HTBasic. It was TransEra who developed the Improve Technologies line of upgrades. They saw a problem, and engineered a solution. 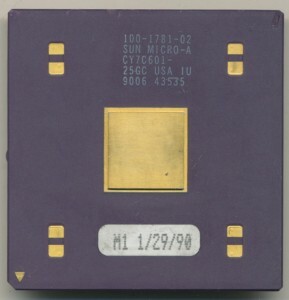 In Mid-1987 Sun Microsystems (now owned by Oracle) released the SPARC (Scalable Processor ARChitecture) processor architecture to be used in their computers (replacing the 68k based systems they had previously used). The SPARC was designed from the outset to be an open architecture, allowing manufactures to license and built processors that implemented it using whatever technology they wished. The goal of this was to 1) build a large SPARC ecosystem and 2) keep prices in check by fostering competition among manufacturers. The SPARC is still used today by Oracle, Fujitsu, the European Space Agency and others, owing largely to its design as an open architecture from the very beginning. 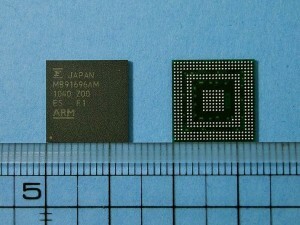 The first version was made by Fujitsu on a 20,000 gate array at 1.2 micron and ran at 16.6MHz. In July 1988 Cypress (later to be spun off as Ross and make the famous HyperSPARC line) announced the CY7C601. This was the fastest implementation of the SPARC at the time. It was made on 0.8u CMOS process and contained 165,000 transistors, dissipating around 3.3Watts. 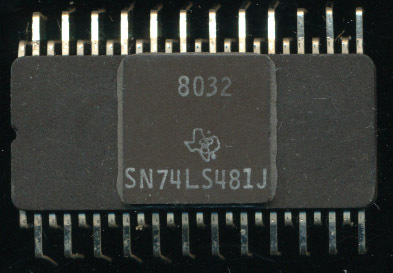 As was typical of many processor designs of the time, it was an integer only processor, requiring a separate chip (the CY7C602) for floating point work. 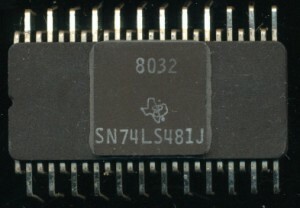 In September of 1988, Cypress cross licensed the ‘601 to Texas Intruments in exchange for rights to the 8847 floating point processor. This was mainly to appease one of Cypress main customers who demanded that a second source for the ‘601 chips be available, a demand more common in the 1970s then in 1988 but Cypress obliged. 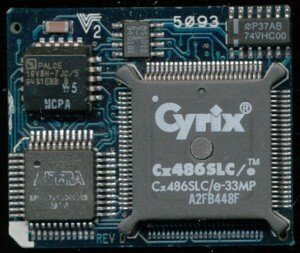 Cyrpress also gained the rights to make the next generation SPARC processor that TI was developing. TI would go on to make many SPARC processors, and continued to be the primary fab for Sun up through the SPARC T2 Plus in 2008. Oracle now used TSMC to fab the T3 and T4 SPARC processors. When you think of multi-core CPU’s what comes to mind? Intel? AMD? Perhaps Nvidia, but certainly not TI. Alas though, the embedded CPU/MCU market is by far the largest user of multicore CPU’s. Many systems controllers have an ARM main core, and then a MCS-51 core for IO stuff, or another ARM core. The iPhone has no less then 3 ARM cores in it. TI just released the MSP430FE42X2, in large quantities its a mere $1 US. It includes 2 complete MSP430 cores, along with an LCD driver, and 32K of Flash. Where will you find it? Its marketed as a complete power meter solution, only other component needed to measure your houses power draw is a voltage regulator. Today I got a not so old (2006) Infocus IN24 projector. It had bit the dust due to corrosion from the warm salty air in Maui. What did I find inside? besides some amazingly cool optics, and power components, there was a large TI DLP Processor, specifically the DDP2000, a rather large BGA chip, that integrates most of the projectors functions as well as a DSP core, and a ARM 946 CPU core. running at 120MHz, good enough for 800×600 resolution.